"Dr. Patel and his team are the absolute best. From regular cleanings to cosmetic dentistry, Dr. Patel is highly skilled and will make sure that you are 110% satisfied with the results. Jennifer, Justin and Ashtyn are instrumental in helping make any visit to the dentist easy and relaxing. You can't go wrong with Falls Lake Dental!" At Falls Lake Dental, we are proud to serve our patients with the latest technology including the 3Shape Trios digital scanner, making messy impressions a thing of the past. For your convenience, we offer a wide range of services and procedures under one roof including general and cosmetic dentistry, ClearCorrect and Invisalign, dental implants, pediatrics, periodontics, dental implants and more. Our experienced and knowledgeable team will help you achieve and maintain the smile of your dreams. Our warm and compassionate team works hard to ensure you enjoy your time in our office. We offer a wide range of amenities for your comfort including a beverage bar, Netflix, wireless headphones and music, flat-screen TVs in patient rooms, blankets and pillows and warm, scented towels. You will also appreciate the convenience of family scheduling, free parking and a variety of financing options. Dr. Chintan Patel is a Cary Dentist who studied computer science at the University of North Carolina at Chapel Hill, where he earned his Bachelor of Science degree. He then went on to earn his Doctorate in Dental Medicine at Nova Southeastern College of Dental Medicine. 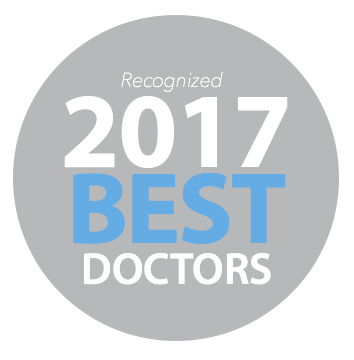 Education and service continue to be of the utmost importance to Dr. Patel as he continuously strives to deliver excellent, cutting-edge care to his patients. As an experienced general dentist, Dr. Patel performs a myriad of procedures ranging from routine to state-of-the-art. In addition to his passion for dentistry, Dr. Patel also enjoys golf, travel, and spending time with his family! Read more about our Dr. Patel. "Dr. Patel and his staff are knowledgeable, professional, and absolutely wonderful. As a person who has, for years, experienced anxiety when faced with trips to the dentist, I am delighted to have found this practice. Not only is Dr. Patel personable and likable, he very clearly explains his recommendations and uses up-to-date x-ray and photo technology to show his patients what he sees during his thorough examination." "My dental experience with Dr. Patel has been nothing but amazing. He took time to explain any concerns and questions i had. He actually took time to make me understand the cause of my problem and told me what to do to prevent it from happening again. Most doctors just fix the problem and let you go until it happens again. He is very gentle and knowledgeable. I would absolutely recommend going to Dr. Patel. Going to his office feels like I'm stepping in a spa at first. All the dental anxiety is forgot as soon as i see Dr. Patel's caring personality." "I would recommend Dr. Patel (and his staff) to anyone who is looking for a dentist that genuinely cares about their patients. Overall I had a great experience." Have Questions? Call Us Now (919) 322-0390 OR Schedule Your Visit!